Some Prayers are Answered Imediately! God is Very Real and no one will EVER Convince me Otherwise!!! This last week has been incredibly busy. I’ve thought about listing the hours I worked, activities, meetings, etc… I have had, but some details are unnecessary and a bit boring. What I will explain is that I am very tired and pretty well feel like I am losing my mind with all that I need to remember. Sunday morning I found out I needed to get my daughter’s passport to church to have copies made for an upcoming mission trip. Sunday afternoon I hurriedly obtained it from the safe place it has been kept for the last six months and was quite sure I had placed it in my purse. The plan was to have it copied while I was in with the rest of the choir preparing for our patriotic musical. Well the person that was going to copy it and myself both forgot. That evening after the musical we had the church youth group over to our house and the next morning I got up for work at 4:20 am as usual. Upon arriving to work I found out I had arrived an hour earlier than I was actually scheduled. The fact that I unknowingly sacrificed an hour longer sleep should demonstrate my state of mind and the fact that I am losing it completely. The passport was now long forgotten until this evening when my daughters and I went shopping at Target. My youngest had a gift card burning a hole in her pocket and the oldest needed a pouch to carry her passport for her upcoming trip. With the thought of the passport retrieved from the depths of my memory I now started to look for it in my purse not having remembered seeing it over the last two days. We got to the car and I emptied my purse. Each daughter looked through my purse. No passport found. The entire car ride home I started retracing my steps in my mind trying to think if I laid it down somewhere stupid instead of putting it in my purse or if it had fallen out of my purse. I had only been to church, work, and home until our Target trip. As we continued home my chest had become tight and I was now nauseous thinking that all the anticipation, prayers, preparation and cost of this life changing trip for my oldest daughter was all pending on locating the now lost passport. As we neared our home I silently prayed very hard pleading with God to help me find this passport. Come to find out my youngest daughter was in the back seat doing the same as she could tell her mom was growing close to losing it! I had promised my oldest that she could start practicing driving the car down our private lane when we come and go. She drove down our lane when we left and it was now with the very last ounce of patience that was left in me I kept my word to let her drive down our lane back to the house. It was through keeping my promise God answered my prayer. Her passport apparently had fallen out of my purse at some time while driving over the last few days and had slid between the passenger seat and door. As I walked over to the passenger side of the car there it was. 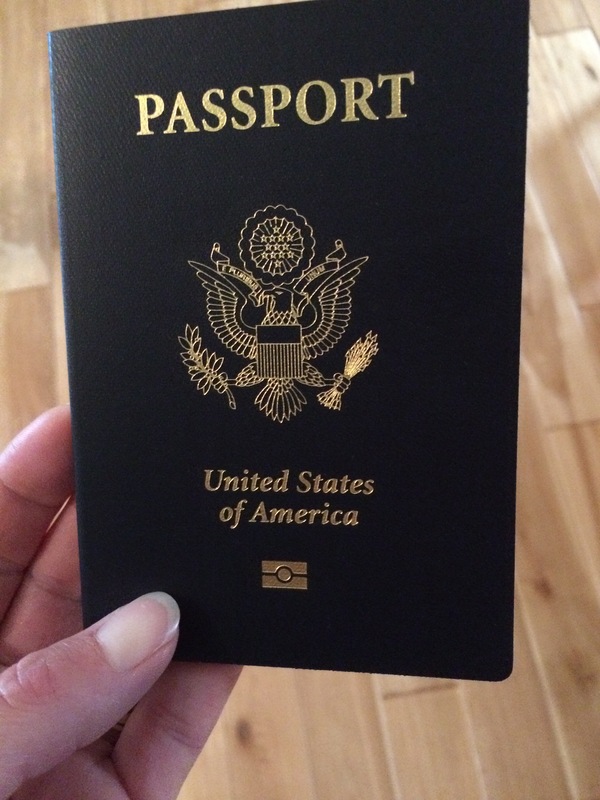 I think I actually heard a heavenly choir sing as I bent down and scooped up that precious passport! God hears our prayers. He is faithful. He cares about every detail of our lives. He is very real and every bit of my sustainer, redeemer, best friend, Lord, Savior, and my Heavenly FATHER!!! His presence is so evident to me everyday!! !